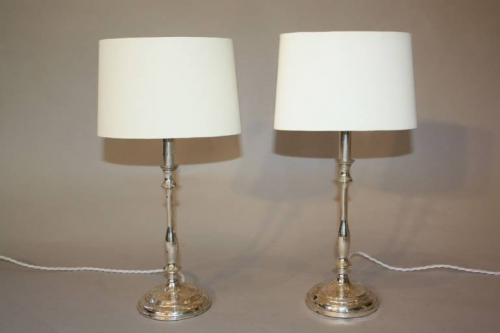 An elegant pair of silver plated candlestick table lights. French c1950. Rewired and certified for UK use. Cream shade is oval with max width of 20cm. Perfect for small places or as uplighters.